In retrospect, it can now be seen that a defining moment for Barack Obama's legacy in American public life came on the Illinois Senate floor in March 2001. That is when that chamber took up three pro-life bills sponsored by then-state Sen. Patrick O'Malley. One of these said that any baby born in Illinois would be considered a "person," a "human being," a "child" and an "individual." O'Malley did not offer this bill to make some abstract point. Jill Stanek, a courageous nurse at a place called Christ Hospital and Medical Center, had spoken out against the "induced-labor abortions" she knew were sometimes conducted there. On July 20, 2000, she submitted a written statement about them to the U.S. House Judiciary Subcommittee on the Constitution. "Christ Hospital performs abortions on women in their second or even third trimesters of pregnancy," Stanek said in this statement. "Sometimes the babies being aborted are healthy, and sometimes they are not. "The method of abortion that Christ Hospital uses is called 'induced labor abortion,' also now known as 'live birth abortion,'" she said. "This type of abortion can be performed different ways," Stanek said, "but the goal always is to cause a pregnant woman's cervix to open so that she will deliver a premature baby who dies during the birth process or soon afterward." "In the event that a baby is aborted alive, he or she receives no medical assessments or care but is only given what my hospital calls 'comfort care,'" said Stanek. "'Comfort care' is defined as keeping the baby warm in a blanket until he or she dies, although even this minimal compassion is not always provided." "It is not required that these babies be held during their short lives," she said. At that time, Illinois state law did not protect the rights of these abortion-surviving babies. So, O'Malley introduced his pro-life bills. When they came up for a vote on March 30, 2001, then-Sen. Obama opposed them and challenged O'Malley in a colloquy on the Senate floor. "Senator O'Malley," Obama said, according to the official transcript of the Illinois Senate, "the testimony during the committee indicated that one of the key concerns was -- is that there was a method of abortion, an induced abortion, where the -- the fetus or child, as -- as some might describe it, is still temporarily alive outside the womb. And one of the concerns that came out in the testimony was the fact that they were not being properly cared for during that brief period of time that they were still living. Is that correct?" Obama, as this writer noted in a column published in 2008, was having a difficult time coming up with sufficiently inhuman language to describe this "method of abortion" that concludes with a child born alive. Is it a "child"? Well, "some might describe it" as a child. Is it "alive"? Well, it is "temporarily alive." Is it born? Well, it is "outside the womb." Every human being who has ever been born, of course, is only temporarily alive outside the womb. O'Malley just wanted to protect the constitutional rights of all born babies. "(S)o this bill suggests that appropriate steps be taken to treat that baby as a -- a citizen of the United States and afforded all the rights and protections it deserves under the Constitution of the United States," O'Malley said. Obama explained why this was unacceptable to him -- referring then to the born baby who survived an abortion as a "previable fetus." "Number one, whenever we define a previable fetus as a person that is protected by the equal protection clause or the other elements in the Constitution, what we're really saying is, in fact, that they are persons that are entitled to the kinds of protections that would be provided to a -- a child, a nine-month-old -- child that was delivered to term," Obama said. "That determination then, essentially, if it was accepted by a court, would forbid abortions to take place," Obama said. "I mean, it -- it would essentially bar abortions, because the equal protection clause does not allow somebody to kill a child, and if this is a child, then this would be an antiabortion statute." 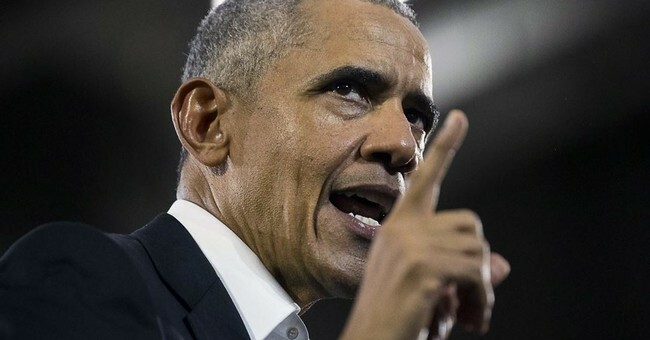 Obama understood that if a born baby that survived an abortion is a "person," then it logically follows that that same baby inside the womb was also a person. So, with the manifest strategic aim of preserving the "right" to kill such babies, he refused to call some born babies persons. Andrew Cuomo, the governor of New York, recently signed a law that allows the abortion of viable babies inside the womb. Ralph Northam, the governor of Virginia, described how, under a bill that had been proposed in his state, a born baby might be left to die. They have taken up the same cause -- and logic -- that Obama championed 18 years ago in the Illinois state Senate.